This town underwent the beginning of a major European settlement in the year 1835; it is the same year in which the foundation of Melbourne was laid. Before the beginning of the settlement of European development, the town was home to a group of people belonging to the Mayone Bulluk, this was a tribe of the nation of Kulin. The establishment of Frankston’s official village occurred in the year 1854 and experienced its first land sales on the 29th of May. The geographical representation of the town takes it towards the eastern part of Port Phillip’s shoreline. 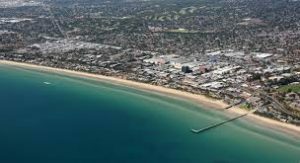 Right from the beginning of the year 1880 till now, Frankston has maintained its top position in the list of Melbourne’s famous seaside destinations. 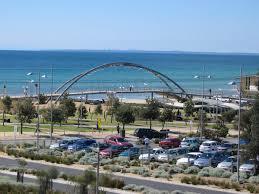 The Frankston beach holds great importance with regard to tourism and as an attraction for its residents. The Frankston beach has been given the title of the cleanest beach in the entire country. Apart from its beautiful recreational sites, the town hosts some major exhibitions; these include the Southern Hemisphere’s sand sculpting event. Some of the most important strengths of this town include its healthcare sector, educational sector, and retail facilities. The government of the town has worked towards providing people with such health care and economic facilities which are remarkable on another level. There are a lot of hospitals, many providers of health care, retail parks, large university campuses, two major shopping centers, numerous primary and secondary education schools and a TAFE institute. All this is available in order to cater to the needs of the growing population as well as generate employment.